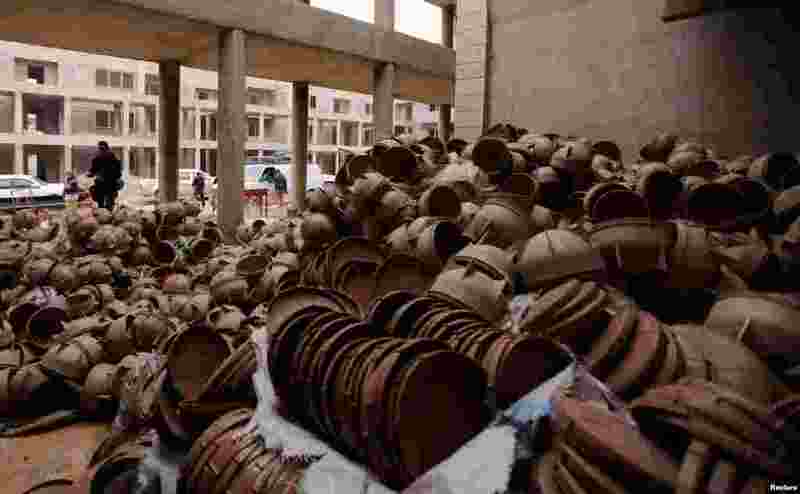 5 Empty shells, which Iraqi forces believe were used by Islamic State militants to create bombs, are pictured at the University of Mosul during a battle with Islamic State militants, in Mosul, Iraq. 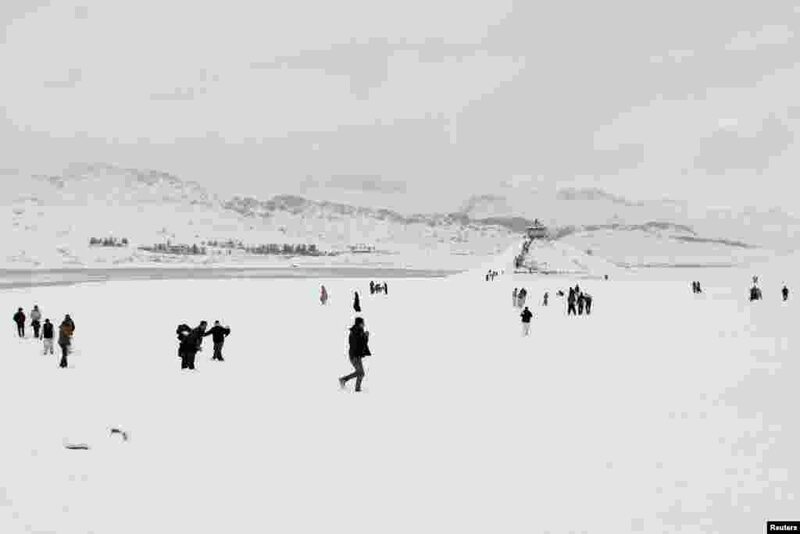 6 People visit the Hanna Lake after a snowfall on the outskirts of Quetta, Pakistan. 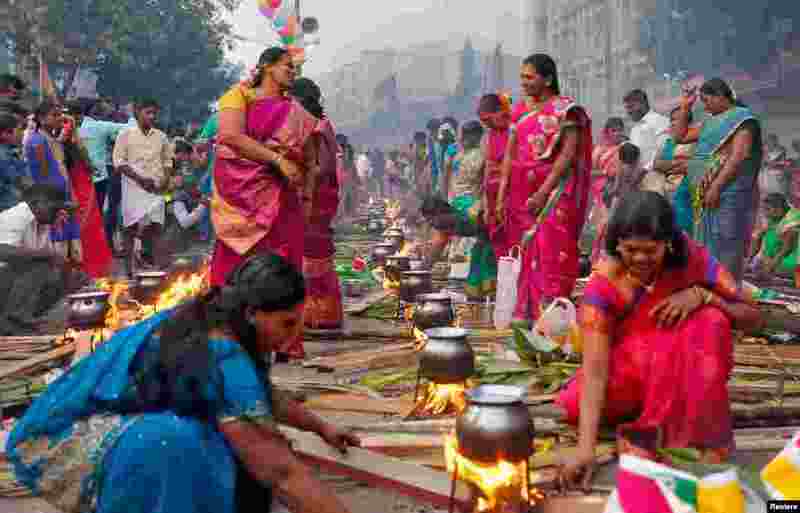 7 Devotees prepare rice dishes to offer the Hindu Sun God as they attend Pongal celebrations early morning in Mumbai, India, Jan. 14, 2017. 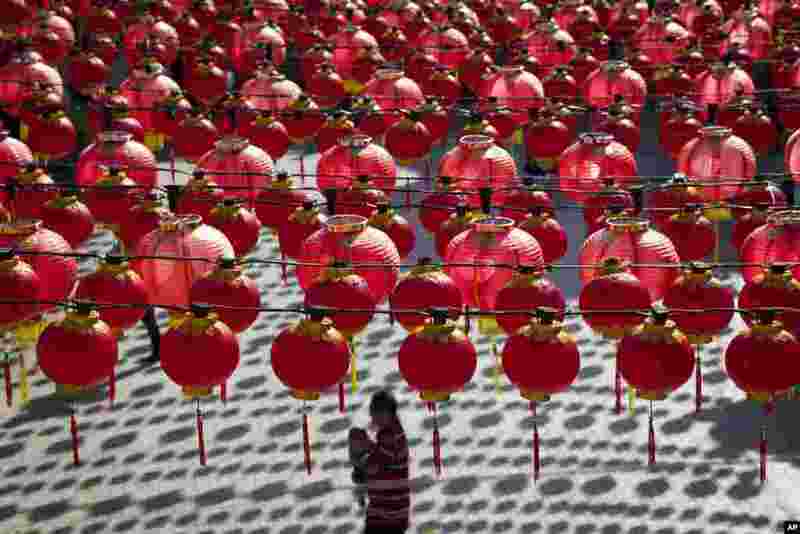 8 A man walks with his child under traditional Chinese lanterns on display ahead of Lunar New Year celebrations at a temple in Kuala Lumpur, Malaysia.